On September 26, 2017 several "experts" testified before the House Oversight Committee regarding Monitored Retrievable Storage of nuclear spent fuel. One of the speakers was Dr. David Victor, chairman of SoCalEd's Community Engagement Panel, who wholly endorses anything the Nuclear Regulatory Commission or Southern California Edison wants to do. Another speaker was Dr. Edwin Lyman, Senior Scientist, Global Security Program, Union of Concerned (sic) Scientists. Shown below (top) is a list of the main points from the written testimony submitted to the committee by Dr. Edwin Lyman, followed by the full review of Dr. Lyman's written comments. According to Dr. Lyman's testimony, UCS believes that spent fuel can be managed safely at reactor sites "for many decades..."
The UCS's recommendation is to get the waste out of the spent fuel pools "to reduce the risk of catastrophic spent fuel pool fires"
The USC's recommends putting the waste in dry casks on site, providing "the security of dry cask storage is enhanced." Unmentioned in Lyman's testimony are continued risks of tsunamis, airplane terrorism, neglect, nuclear war, chloride-induced stress-corrosion cracking (CISCC), or the use of eggshell-thin dry casks. Also unmentioned by Lyman: Thick-walled ductile iron dry casks -- as used in most of the world -- can survive far tougher impact tests, drop tests, fire tests, and aren't subject to CISCC. Lyman admits that nuclear waste disposal isn't "only a political problem" but is also a technical problem: "One should not underestimate the technical challenges [of building a repository that will isolate the waste] for hundreds of thousands of years." Lyman states that "UCS is neither pro- nor anti-nuclear power..." and that the UCS has "not ruled out an expansion of nuclear power as an option" to combat global warming. Lyman's four-part proposal for solving the nuclear waste problem makes a series of unrealistic assumptions: "Establish and maintain political momentum" for a permanent geologic repository; that such a location should be "consent-based, fair and technically sound"; that the spent fuel remain "safely and securely" at reactor sites until a permanent repository exists; that the waste be shipped safely and securely to the permanent repository. Lyman's testimony discusses a current bill (H.R. 3053) which is intended to amend (and weaken) the 1982 Nuclear Waste Policy Act (NPWA). Lyman is correct to condemn this bill, in its original form and as amended in 1987. Lyman admits that the MRS facilities would be "vulnerable to sabotage attacks that could lead to dispersal of radioactive materials." Lyman fears theft by terrorists who want to make nuclear weapons -- but only after many decades, when the extremely hazardous fission products are less abundant in the spent fuel due to their eventual decay. Lyman correctly points out that H.R. 3053 doesn't contain any mechanism "to ensure that DOE will not abandon searching for alternative [permanent] repository sites." Lyman's solution is to have Congress set a time limit on how long waste can be stored at any MRC facility -- despite his admission that "After all, under the NWPA the NRC was required to make its decision [concerning Yucca Mountain] no later than October, 2012." Lyman states that there is time to solve all these problems -- thus tacitly supporting continuing operation of nuclear power plants -- which is a far cry from the neutral position he claims the UCS holds. Lyman closes by saying that "spent fuel can be stored safely and securely at reactor sites for many decades" and "there is no urgent need to rush forward with a less-than-optimal approach for the long term." The UCS's recommendation is to get the waste out of the spent fuel pools "to reduce the risk of catastrophic spent fuel pool fires" and put the waste in dry casks, providing "the security of dry cask storage is enhanced." That is a steep request since the current plan is to REDUCE security to practically nothing at dry-cask-only nuclear sites (a chain-link fence and one person on duty at a time with a handgun). Unmentioned in Lyman's testimony are the continued risks of tsunamis, airplane terrorism, neglect, nuclear war, chloride-induced stress-corrosion cracking (CISCC), or the use of eggshell-thin (2) dry casks when far stronger casks are available. Thick-walled ductile iron dry casks -- as used in most of the world -- can survive far tougher impact tests, drop tests, fire tests, and aren't subject to CISCC. Nuclear Regulatory Commission (NRC) requirements for dry casks are utterly inadequate for real-world conditions. This is all unmentioned by Lyman. Lyman does say (pg 3) that spent fuel should be "managed safely and protected from terrorist attack until it can be buried in a geologic repository" but gives no details on how that management and protection can be done (not surprisingly, since it CAN'T be done). Later in Lyman's testimony (pg 9) he addresses the topic of dry cask safety again -- but only to say that the risk from terrorism or earthquakes are reduced if the spent fuel is in dry storage versus spent fuel pools. In the third (final) paragraph of Lyman's summary statement, he first admits that nuclear waste disposal isn't "only a political problem" but is also a technical problem, stating: "One should not underestimate the technical challenges" of building a repository that will isolate the waste "for hundreds of thousands of years." But the fact is: Nothing mankind has ever built has lasted, or could possibly be expected to last that long. And yet Lyman's very next sentence assumes it can be done: "The foundation of such an effort is good science." More likely, the foundation of good science FICTION is to assume it can be done! Lyman states that the UCS has "not ruled out an expansion of nuclear power as an option" to combat global warming -- despite every renewable option being cheaper, cleaner and more effective. So why not? Lyman states that a "sustainable nuclear waste disposal strategy" (an oxymoron if ever there was one!) "must also have broad public acceptance at local, state, and national levels." (pg 3) Lyman wants Congress to pursue a "different and less adversarial approach" to siting a permanent repository. But that fact is: With all the access to information people now have, no one in their right mind is going to accept nuclear waste in their back yard. No community, no state has EVER wanted it, none ever will. It's time to stop making more nuclear waste, and it's time for the UCS to push for closure of ALL nuclear power reactors, research reactors, and naval propulsion reactors. The clock is getting dangerously close to midnight. Lyman's four-part proposal for solving the nuclear waste problem is shallow at best: First, to "establish and maintain political momentum" for a permanent geologic repository -- he does not mention any particular place. He does not acknowledge that such a search has been going on longer than the UCS has been in existence. Second, that such a location should be "consent-based, fair and technically sound." That's a trio of impossibilities! Third, that the spent fuel remain "safely and securely" at reactor sites until a permanent repository exists (also impossible). And Fourth, that the waste be shipped safely and securely to the permanent repository (ditto). Lyman then condemns Congress for not confronting these issues. Fair enough. Lyman admits that the MRS facilities would be "vulnerable to sabotage attacks that could lead to dispersal of radioactive materials." (pg 6) This is the same risk he DOESN'T see at places like San Onofre if the waste stays there! Lyman also fears -- after many decades, when the extremely hazardous fission products are less abundant in the spent fuel due to their eventual decay -- theft by terrorists who want to make nuclear weapons. But storing that same fuel for "many decades" at over 70 sites can be done "safely"? Lyman next points out that H.R. 3053 would require the NRC to make a decision regarding Yucca Mountain within 30 months after its passage, and further points out that this is a mandate that cannot be enforced since: "After all, under the NWPA the NRC was required to make its decision no later than October, 2012." That date came and went: The DOE abandoned (at least for the time being) the Yucca Mountain project in 2010. And yet -- as Lyman correctly points out -- H.R. 3053 doesn't contain any mechanism "to ensure that DOE will not abandon searching for alternative [permanent] repository sites." But Lyman's solution is to have Congress set a time limit on how long waste can be stored at any MRC facility -- as if such limits would be enforced! The problem is: ANY site would be a disaster-waiting-to-happen. Any interim site would be a disaster-waiting-to-happen. All the current sites are disasters-waiting-to-happen. Lyman is right that "direct disposal" is -- in theory -- advantageous since transport accidents (and the likelihood of terrorist attacks) increase with every extra mile the fuel is moved: To an interim site, then perhaps to ANOTHER interim site (if time limits are adhered to for any one site), then to a permanent repository (or perhaps back to the first interim site). It's not very likely that the fuel will only be moved once, since no such permanent repositories exist, and storing the fuel near highly populated areas, in earthquake-prone tsunami zones -- is the very definition of suicidal insanity. And it is of course, what we do now -- and, unfortunately, what Lyman is satisfied with for "many decades." H.R. 3053 seeks to overcome opposition to moving the waste to interim locations by removing democratic principles of self-determination: By preempting local and state authority. Lyman, however, feels that "there is surely a way to develop a process that at least is perceived...as fair." He does not attempt to describe such a thing. Lyman next returns to the subject of storing the nuclear waste at the reactor sites -- where approximately 99% of the spent fuel currently remains, even after more than 50 years of commercial operation at some of the sites. His first priority is NOT shutting down the reactors so the spent fuel could begin the permanent process of slowly reducing its lethality. Instead, Lyman wants those spent fuel pools to hold less fuel -- completely ignoring the fact that if a pool with fresh fuel (fuel recently removed from the reactor) drains, it will be a catastrophe, even if that's the only fuel in the pool. In order to maintain his position of "neutrality" Lyman ONLY worries about "dangerously overloaded" spent fuel pools. He does point out that a spent fuel pool fire could contaminate "30,000 square miles" just with "average weather conditions." (8) Lyman's recommendation is NOT to close the reactors and start the cooling process: It's to move older fuel into dry casks on site. Keep doing what the industry has been doing for more than a decade: Creating additional targets for airplane strikes, atomic bombs, terrorists, asteroids, etc.. Just do it faster, so the pools are "thinned out." Lyman then lists several "incentives" the NRC could offer to induce reactor sites to thin out their pools, adding that this would create "good [(sic)] jobs in the dry cask storage construction industry." Lyman admits that the risks wouldn't "go down to zero" even with more of the fuel in dry casks. He mentions -- almost casually -- that dry casks are also vulnerable to terrorism ("[o]ne must also be concerned about...") and notes that two years ago the NRC started to consider stricter standards, then dropped the development of those standards "for at least five years" (until at least 2020). In the last two pages of his testimony Lyman discusses transportation risks of moving spent fuel, stating (correctly) that plans "for ensuring that the public and the environment will be protected during such transportation are simply not adequate." He'd like to see Congress fund additional studies. Why shouldn't the industry fund those studies -- and NOT at ratepayer expense? After stating that current plans are "simply not adequate" Lyman only wants the NRC to "consider...whether new security standards are needed." The author has studied nuclear issues for more than 40 years, has interviewed numerous nuclear scientists and other experts, and has a private collection of over 500 books and videos regarding nuclear power. He is a computer programmer and lives approximately 15 miles from 3.5 million pounds of nuclear waste located at San Onofre. (2) The thickness of a chicken egg's shell is about 1.35% the thickness of the egg; that of the 5/8ths inch thick dry casks currently in use is about 1.65% the thickness of a dry cask, and some dry casks are only 1/2 inch thick. The density of a dry cask is also far, far higher than the density of an egg. (3) Lyman states that the UCS has more than half a million "supporters" (pg 3). UCS's own 2016 annual report (their most recent to date) states "over 100,000" members -- a significant difference. That's about one out of every 3200 Americans (assuming they're nearly all Americans). (5) H.R. 3053 would allow so-called "temporary" or "interim" nuclear waste storage sites to be constructed without any progress on a national repository, in effect allowing what would probably become "de facto" (as Lyman puts it) permanent storage sites. Lyman doesn't follow this policy to its inevitable conclusion, that the "interim" sites would eventually -- or quickly -- become horrific SuperFund cleanup sites, after the casks -- inevitably -- fail at some point in the future. Lyman says they'll be "monitored" which really means: We'll watch them fail. When an airplane crashes into them, when the airplane's burning fuel cracks open the thin-walled dry casks, when the place becomes a massive inferno -- remote cameras will capture the event. (6) H.R. 3053 caps the amount of spent fuel at each MRS facility at 10,000 metric tons -- an enormous amount -- but there is already over 70,000 metric tons in America that needs to be stored. Granted, eight facilities might be easier to protect than the 70+ locations that now store spent fuel -- but nearly all of those current sites are already protecting operating reactors and operational spent fuel pools -- and therefore are currently required to have far more than one security guard with a pea shooter on hand at all times. (7) At the time of Yucca Mountain's abandonment, there were over 300 technical problems Nevada's scientists had identified and challenged the project with -- many so severe there was no foreseeable solution OTHER than to abandon the project -- such as potential volcanic activity in the area, earthquake activity, water seepage through the mountain, and many other problems. California's scientists had identified several dozen more technical problems with the plan, including excessive groundwater flow rates into aquifers used by farms, towns and cities in California. It is safe to say that Yucca Mountain should never -- and probably will never -- be built. (8) Lyman states that the plume could stretch from "Maine to Georgia," evidently ignoring, for purposes of illustration, the fact that Maine has no nuclear power plants. There is a long -- if often shallow -- history of looking at the nuclear waste problem. But it's still a problem. Below is a list of books in my collection (there are undoubtedly many others) on the subject of nuclear waste, or with significant sections about nuclear waste, with dates of publication and several quotes from each one. Many other books in my collection have some mention of the problem, going back to the 1940s (most that old simply deny it's a problem, saying we'll rocket nuclear waste to the sun, drop it under the polar ice caps, bury it in deep sea trenches, or reuse it in other reactors). These quotes show the immense difficulty of attempting to isolate radionuclides, of transporting nuclear waste, and of finding a permanent repository or even interim storage. Again and again over the decades, people were sure all these problems would be solved "soon." Yet as of today, none of them have been solved. The problems remain intractable, and the solutions are still as elusive as ever. Note: In a few cases, I have added some comments to the quotes, which are clearly delineated. "Fresh fuel charged to [a Light Water Reactor] is made up of about 3 percent U-235 and 97 percent U-238. After its full residence in the core (about three years for a PWR, four for a BWR), the spent fuel consists (by mass) of about 95 percent U-238, 1 percent plutonium, 1 percent residual U-235, and about 3 percent light elements produced by fission of uranium and plutonium. There are also small amounts of other heavy elements, particularly neptunium, americium, and curium..." (pg 83) Note: "High Burn-up fuel contains up to 5% U-235, and after use in a reactor, contains correspondingly more fission products, plutonium, etc.. Note: Tritium is a radioactive form of hydrogen. It is highly toxic. "In a gas container filled initially with T2 [(tritium gas)] the pressure increases with time from radioactive decay to He3, with the pressure ultimately reaching twice the filling pressure...the disadvantage of gas storage is the potential for [leakage] through valves. The advantage is that the tritium is easily recoverable for use at any time." (pg 28) Note: One of the main "uses" of tritium is as a trigger in nuclear weapons. It is also used in emergency exit signs, graticals for rifle scopes, etc.. Note: Ray believed the waste should be reprocessed to extract the "useful" fissile and industrial isotopes, and the remaining waste "should be disposed of in the ocean. "(pg 153) Ray also claimed there are vast dead zones ("deserts in the sea") (pg153) and that the current natural burden of radionuclides in the oceans overwhelm anything mankind could add. Ray opposed land-based solutions including Yucca Mountain, Hanford, etc..
Cohen was sure that any and all nuclear waste solutions would be safe and feasible, at least compared to handling arsenic, and that terrorists would be more likely to bust a large dam, release a poison gas into a building's ventilation system, napalm a sports arena, or poison a city's water supply, than attack a nuclear facility (pgs 245 - 246). "It...seems unlikely that an operating solar power plant can ever cost less than $1,000 per peak kilowatt. Since their power output over day and night is only about 20% of the peak, this corresponds to a cost of $5,000 per average kilowatt. The cost estimate for a new generation of nuclear power plants is under $2,000 per average kilowatt." (pg 261). Note: In August, 2016 the average cost of PV (photovoltaic)-generated electricity was estimated to be about 15 - 20% LESS than "advanced nuclear" (source: US Energy Information Administration). The price difference is expected to continue to expand in favor of PV. "Even when national security was not an issue, Congress was often no help at all, as when it exempted the Department of Energy from OSHA (Occupational Safety and Health Administration) regulations." (pg 227) Note: DOE is still exempted. "Ceramic Coatings. A thin coating (1.5 millimeters (0.06 inch) or more) of a ceramic oxide on the outer surface of the waste package could increase the life of the waste package by slowing the rate at which the waste package will corrode." (pg E-3) Note: Despite plans to leave waste in thin (5/8ths inch) stainless steel canisters for decades at reactor sites and interim storage locations, there are no plans to coat the dry casks with ceramics. "[A]ircraft crashes on the vulnerable area of the repository are not credible because the probability would be below 1 X 10^-7 per year, which is the credible limit specified by DOE." (pg H-11) Note: This statement and the calculations that accompany it were written BEFORE 9-11. "Sabotage...The repository would not represent an attractive target to potential saboteurs due to its remote location and low population density in the area...DOE expects that both the likelihood and consequences of sabotage events would be greater during transportation of the material to the repository..." (pg H-16) Note: What does this opinion suggest about current waste storage policies? "The Nuclear Regulatory Commission has determined that an F-16's crashing into the casks...is a 'credible accident.'" (pg 44) Note: An F-16 is a relatively small aircraft. "Several nuclear power plants completed decommissioning in the 1990s without a viable option for disposing of their spent nuclear fuel because the Federal Government did not construct a geologic repository as planned." Also: "After cleanup...dry cask safely stored and monitored until disposal." The pamphlet claims decommissioning fund ranging from "$300 million to $400 million" are adequate, but does NOT note that that amount does not cover monitoring the spent nuclear fuel "until disposal." 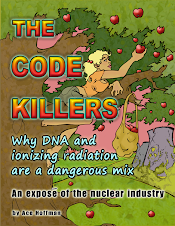 The author, an independent researcher and computer programmer, has a collection of approximately 500 books and videos on nuclear issues, and has studied the problem for more than 40 years.